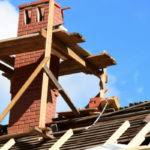 Tuck Pointing, Brick and Chimney Repair Toronto | Turnbull Masonry Ltd > Blog > Blog > What Can Cause Water Damage Behind Brick Wall? Since the first brick house ever built, brick walls have always leaked and absorbed water. That’s why there are systems in place to facilitate moisture absorption so that bricks don’t quickly fall apart. Additionally, it’s important to understand the causes of water damage behind brick walls to better pinpoint issues that require repairs before they worsen. 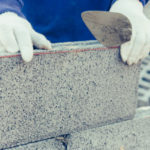 There are three ways that water can enter brick—it can go directly through brick surfaces, mortar surfaces, or through the contact zone between mortar and brick. It is very common for leaks to enter through vertical joints, as one side of every brick has some type of weakness due to the standard technique used to install bricks. Although, water may also enter brick from the inside-out, say for instance through a leaky pipe in the wall. Find out if you have a leak by turning off all water sources inside and outside of your home. Then, check your water meter to see if the leak indicator is moving. Another option is to check the water meter when water is in regular use, and then again after turning off all water for 1-2 hours. Another common cause of water behind brick a wall is wind-blown rain. This type of moisture infiltration generally takes place through the vertical joints between bricks, or head joints. The pressure of the wind pushes the water into the wall with force, over and over as the rain continues. This causes water to stream into the wall. Therefore, it’s important for the right systems to be in place to capture and redirect water before it reaches wood framing or damages other components of the wall. This includes flashings and waterproof membranes that redirect water to the exterior of the brick wall. Part of this system includes weep holes, which you’ll notice at the bottom of a brick wall. If you see weep holes, do not fill them in. Weep holes play an important role, they help expel moisture and prevent it from building up behind the brick. There are several construction issues that increase the risk of water getting into bricks. One example is using too high of a moisture content to create mortar. 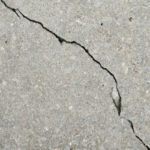 As a result, mortar will shrink more as it sets, producing little cracks in the surface that allow moisture to easily seep inside. A well-constructed brick wall requires certain repairs over time to prevent water from getting in through holes and cracks in the wall and creating larger issues. 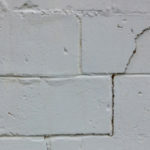 Water damage behind a brick wall may be hard to spot at first. The water will start to build up before the exterior wall ever shows signs of damage. That’s why top-notch construction is important, as it can help prevent water damages from occurring in the first place. Every brick is designed to allow some level of water penetration, as well as the release of water as it evaporates. Good construction is the best way to prevent water damage behind brick walls, but sometimes, no matter how well-built something is, water damages may still occur. There are many ways water can infiltrate a brick wall and cause damages that originate from the inside out. Perhaps a broken chimney crown allowed water to get inside of your chimney walls. Or, maybe a pipe leak is seeping water inside a brick wall. Leaky walls most often originate at the vertical joints between bricks. 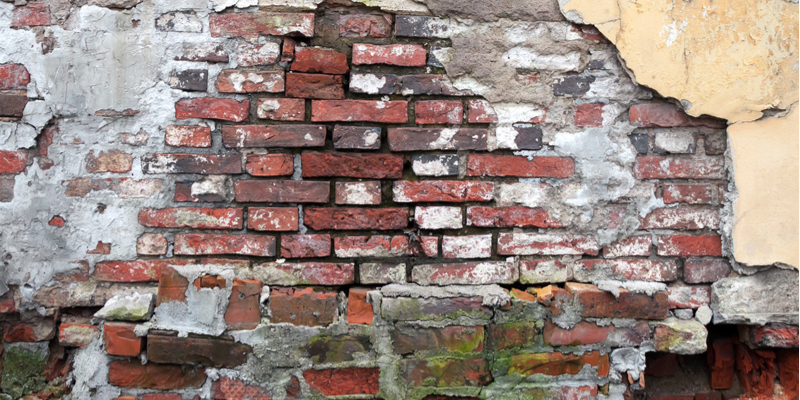 Water damage behind a brick wall may be hard to spot at first. Water can start to build up before the exterior wall ever shows signs of damage. Do you think you have water damage behind a brick wall? Contact us today to schedule an inspection and get a quote!